JCU researchers, in collaboration with the US Geological Survey, have discovered a new species of fish right under our noses in a developed region in North Queensland. However, beauty is in the eye of the beholder for the new eel-tailed catfish species, Tandanus tropicanus, which has been found in the Tully River in North Queensland. The new species has a large head with small eyes and thick, fleshy lips on a downturned mouth. Whisker-like barbels surround its lips. It is a solid, almost-cylindrical fish, with the back half of the body tapering to an eel-like tail. Eel-tailed catfish are quite common in Australia, found in East and West Australia and the Murray-Darling. However, the new species only lives in rivers in the Wet Tropics, but is widespread within the region. Growing up to 40cm in length, the popular catfish is usually good to eat and is often targeted by fishermen. 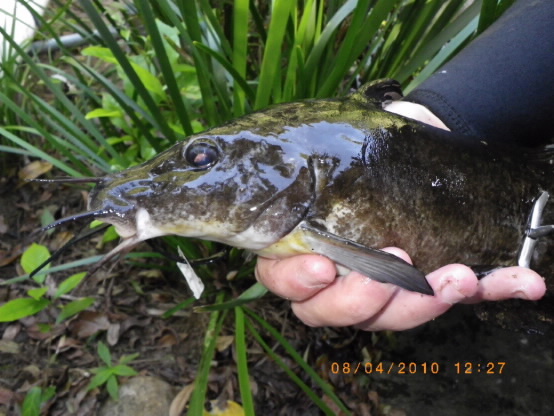 Researchers have long suspected that the North Queensland catfish is special, but detailed examination was required to prove that it is a unique species. The lead author of the current research was Stuart Welsh from West Virginia University, and included JCU researchers. 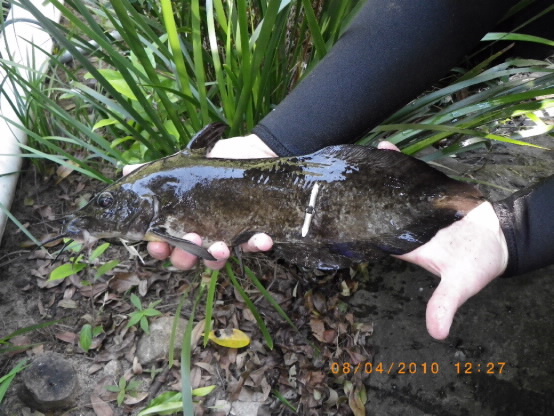 Dr Damien Burrows, Director of TropWATER at JCU, said the discovery of the new catfish species demonstrated how much is still unknown about what’s living in developed or populated catchments. “There are possibly a hundred new freshwater fish species to be discovered in Northern Australia, including large species that can be fished,” Professor Burrows said. “It’s not just in the wildernesses of PNG and the Congo where we are finding new species. Some can be found right under our feet near major centres in Australia. Dr Burrows said that genetic analysis was undertaken first, which indicated that the North Queensland fish is a distinct species. Next, hundreds of measurements of the size and shape of various body parts and sections and comparisons with similar-looking species, verified that it is a separate species. “It is an especially interesting discovery: the fact that we are still finding new, large species close to population centres, such as Cairns, shows how little we know about northern Australia,” he said. Dr Burrows said the new species was caught with electrofishing during the study, and many were caught before being identified as a new species. “We say they are common because we readily caught many of them during the study in a number of different rivers,” he said.  “Just because they have only just been described as new, does not mean we were unaware of their presence before that. We suspected they were a new species from the ones we caught, so then did the taxonomic study to prove it. Dr Burrows said all eel-tailed catfish were good to eat. “Plenty of people have been catching these fish for years and eating them without knowing it was a new species,” Dr Burrows said. “Actually, we are probably finding a new fish species in North Queensland each year on average. JCU Media Liaison: Caroline Kaurila, tel; (07) 4781 4586 or 0437 028 175.